“ I mean it sounds (like a) cliché, but that was a phone call that changed my life completely,” said singer, Siobhan Stagg, recollecting the day the Berlin Philharmonic Orchestra called to ask her to perform “Brahms’s Requiem”. Siobhan Stagg hails from Mildura, a town in the Australian state of Victoria, close to the borders of both New South Wales and South Australia. After finishing high school in Mildura, Siobhan initially studied music at Melbourne University and later at the Wales International Academy of Voice in Cardiff. She has been the recipient of several scholarships, including the Australian International Opera Award and the Amelia Joscelyne Memorial Scholarship from the Dame Nellie Melba Opera Trust. 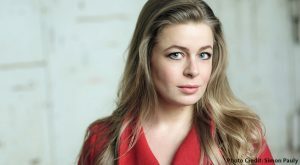 Siobhan’s many accolades include first prize at the 2014 International Mozart Competition and first prize and Audience Choice Award in the 2012 Mietta Song Competition. Since 2013, Siobhan has been a member of the ensemble at the Deutsche Oper Berlin, where her stage roles have included Pamina in Die Zauberflöte, Musetta in La Bohème, and Waldvogel and Woglinde in The Ring Cycle, conducted by Sir Simon Rattle. She has also frequently been a guest at many other opera houses, including London’s Royal Opera House, the Dutch National Opera, Munich’s Bavarian State Opera and the Lyric Opera of Chicago. On the concert platform, Siobhan has appeared as a soloist at events the likes of the Salzburg Mozartwoche and the BBC Proms, as well as with prestigious ensembles the calibre of the Berlin Philharmonic Orchestra and the Melbourne Symphony Orchestra. Breandáin caught up with Siobhan backstage at the Deutsche Oper in Berlin, where she recalled her journey from a regional Victorian town to performing on some of the world’s most prestigious stages. There have been many highlights in Simone Young’s career. 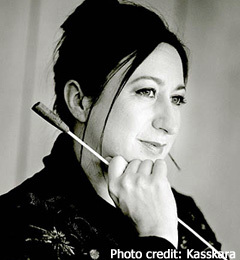 Alongside conducting most of the world’s great orchestras including the London and New York Philharmonic Orchestras, the City of Birmingham Symphony, and the BBC Symphony at the BBC Proms, she was also the first woman to conduct at the Vienna State Opera and the Vienna Philharmonic, two orchestras she regularly returns to conduct today. Cathy Milliken has been an artist many young Australian musicians have looked up to when they have travelled abroad to continue their studies in Europe. 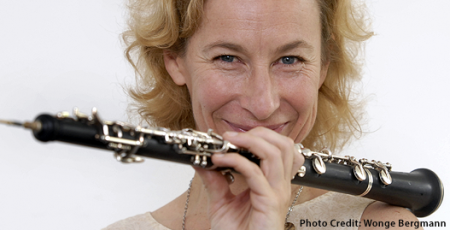 A renowned oboist, composer and music educator, Cathy has held key positions with two of the world’s leading music ensembles, Ensemble Modern and the Berlin Philharmonic Orchestra. 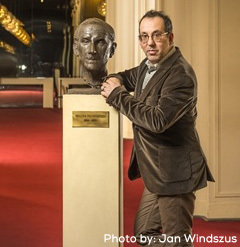 There are not many stage directors in the world who, in the space of six months, have directed Wagner’s “Die Meistersinger von Nürnberg,” Debussy’s “Pelléas et Mélisande” and the musical, “Fiddler on the Roof.” But that is exactly how Barrie Kosky spent the second half of 2017. What’s more, this is a typical schedule for the energetic Melburnian.